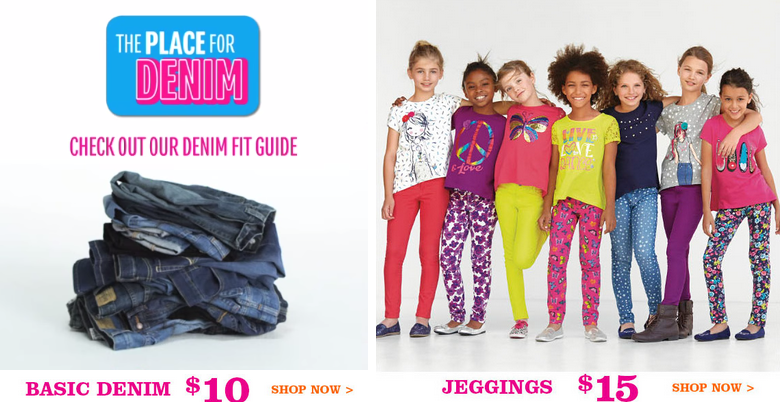 Children’s Place: *HOT* 30% off + FREE Shipping!! Jeans just $7 Shipped + More!! Today only! Woot! The Children’s Place is again offering up FREE shipping today!! Plus you can take 30% off too!! That means you can get your Back to School shopping wrapped up on the cheap! Just use the promo code 30BUY3 at checkout to get the 30% off and free shipping! Jeans are just $7 shipped after the promo code!! !